Meihuazhuang instructors are volunteers dedicated to the teaching of Meihuazhuang as a method for self-improvement. 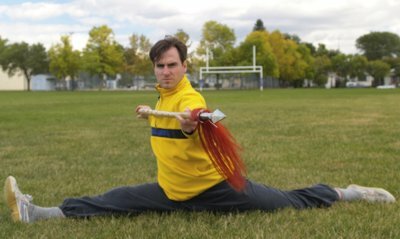 The Canadian Association is pleased to have several highly qualified instructors with years of experience in various martial arts, all of whom have studied directly under Master Yan in China. Instructors follow the proven training methods of Master Yan, one of the foremost meihuazhuang masters in China. 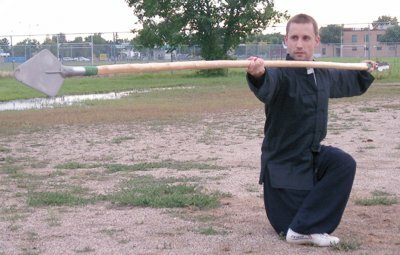 Raymond Ambrosi (Regina) had a long background in martial arts before beginning his study of Meihuazhuang in 1990 while he was a student at Shandong University in China. Since then, he has traveled many times to China where he has lived for over four years studying directly under Master Yan. Ray's fluency in Mandarin and broad educationin social sciences provide insight into the cultural background of martial studies which facilitates a smoother transition between Eastern and Western conceptualization of Meihuazhuang. He has participated in and taught many workshops for performing artists, presented seminars in Japan and lectured on Meihuazhuang's socio-cultural function in both Canada and Japan. Ray's involvement inother martial arts including training in kendo and iaido in Japan, and alternative health and exercise methodologies including the Mitzvah Technique under the direction of movement analyst Amelia Itcush, serve to inform his teaching of Meihuazhuang. Alice Lee (Vancouver) was strongly influenced by her family which has a long history of traditional medical doctors and martial artists. With a long background in healing and martial arts, she began her study of meihuazhuang in 1991 in china and has since remained under the tutelage of Master Yan, returning to China in 1998 and 2003 to continue her studies. She is fluent in Cantonese and mandarin, has broad cross-cultural knowledge, and a solid education forged during her undergraduate degree in Business Administration. She is a founding member and one of the principal instructors of the Association. Jeffrey Quinn (Regina) has practiced meihuazhuang since 1993, including two years in China studying directly under master Yan Zijie. His experiences are too numerous and varied to list here, but include trips to the meihua heartlands in China to help raise money to open schools. : Go to Jeff's website. 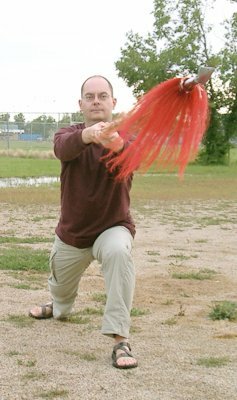 Jim Roscoe (Regina) practiced taijiquan for several years before discovering Meihuazhuang during Professor Yan's 1995 seminars in Regina. To continue his training, Jim studied Meihuazhuang intensively in China for two years. Jim's bachelor degrees in business and Education provided the formal education to support his consulting and training practices. Jim's interests are in the field of professional training, facilitation and organizational development. He supports the Regina chapter as an instructor, designing and facilitating workshops based on chinese philosophical porinciples, mental training models, and the strategy of Meihuazhuang. 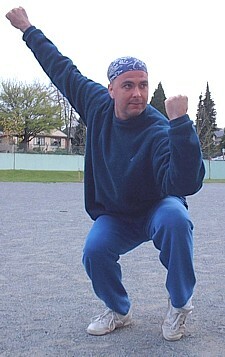 Douglas Herasymuik (Vancouver) began practicing various forms of Chinese martial arts in the late 1980s. Beginning his study of Meihuazhuang in 1993, he has been instrumental in organizing and helping with instruction during master Yan Yijie's workshops in Vancouver in 1995 and 2002.